"Ice Ice Baby" is a hip hop song written by American rapper Vanilla Ice and DJ Earthquake. The song samples the bassline of "Under Pressure" by Queen and David Bowie, who did not initially receive songwriting credit or royalties until after it had become a hit. 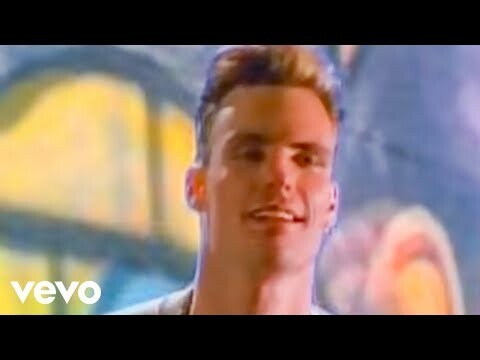 Originally released on Vanilla Ice's 1989 debut album Hooked and later on his 1990 national debut To the Extreme, it is his most well known song. It has appeared in remixed form on Platinum Underground and Vanilla Ice Is Back! A live version appears on the album Extremely Live, while a rap rock version appears on the album Hard to Swallow, under the title "Too Cold". "Ice Ice Baby" was initially released as the B-side to Vanilla Ice's cover of "Play That Funky Music", but the single was not initially successful. When a disc jockey played "Ice Ice Baby" instead, it began to gain success. "Ice Ice Baby" was the first hip hop single to top the Billboard charts. Topping the charts in Australia, Belgium, the Netherlands, New Zealand and the UK, the song helped diversify hip hop by introducing it to a mainstream audience. The song came fifth in VH1 and Blenders 2004 list of the "50 Most Awesomely Bad Songs Ever."